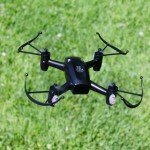 If you want to get into flying and eventually racing FPV drones, the initial cost and investment to learn how can be quite high. 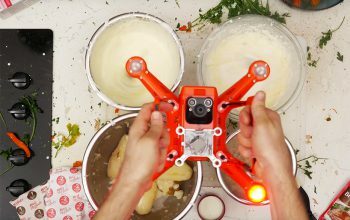 Most racing drones cost more than $200 USD to buy or build and that usually doesn’t even include the FPV goggles or radio transmitter to control the quadcopter. However, Aerix has provided a good option with the Talon Micro, a full FPV racing drone that includes everything you need to get started for $139 USD. 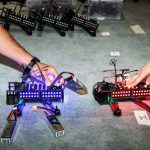 While certainly not a professional drone, this kit gives you a stable flight controller, video game style remote control, and included video screen that work pretty well under the right conditions. The main limiting factors for this setup are distance (the video won’t transmit much past 30 feet) and minimal wind (the quad is very susceptible to even the slightest wind). 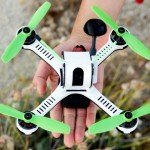 But if you are looking for a cheap and easy way to try out FPV flying, this may be a good option. 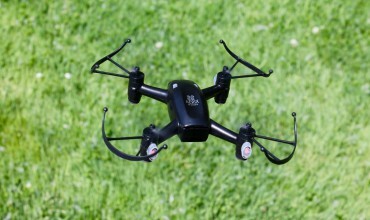 Click here to read a full review of the Aerix Talon Micro Drone!